Has the emergence of the most popular donut maker in the world hurt our local donut bakers? Americans eat over 10 billion donuts a year. That averages out to be about 35 donuts per person. This multi-billion dollar boom is no stranger to Utahns. 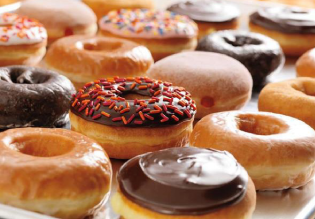 As of June 2013, world-famous donut makers Dunkin’ Donuts opened its very first store in downtown Salt Lake City. Over the next five years, the East Coast sensation plans to open 22 additional locations throughout the state. Dunkin Donuts is the largest coffee and baked goods chain in the world. They primarily compete with Starbucks for coffee and Krispy Kreme for donuts. “I love coffee and donuts. 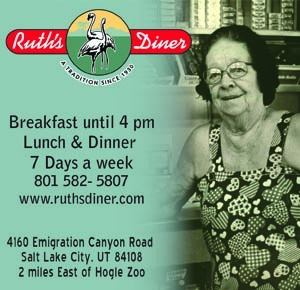 Now I can get the best of both worlds right at one stop,” says Utah resident Nancy James. With the large corporation finally making its way to Utah, and opening at so many convenient locations, many wonder how local businesses feel about this migration. The chain plans to employ over 1,000 locals. High Point Coffee owner Steve Wright doesn’t worry too much about the imposition of Dunkin’ Donuts. “I have people in line all day long,” he says, “and that’s with two Starbucks locations to the north and south of me.” He feels that it could lead to healthy competition. “Also my coffee is better,” he politely insists. Similarly, Brendra Lee, owner of Fresh Donut & Deli, says that they haven’t perceived much of a difference since the first Dunkin’ store opened last summer. “So far it hasn’t affected our business at all. We still gets a lot of local orders,” she says. Many have wondered why Dunkin’ Donuts would make such a move to open so many stores in Utah when so many donut chains have failed over the years. In the late ‘90s, Krispy Kreme and Tommy’s Donuts were all the rage. That fad ended when the low-carb craze swept the nation. Unlike Dunkin’ Donuts, Krispy Kreme or Tommy’s had little else to offer patrons concerned with consuming less empty carbs. Dunkin’ Donuts recognized this shift and began offering a variety of breakfast sandwiches that now make up a large portion of their sales. “We surprisingly find ourselves busier with making breakfast sandwiches than anything else. Not to mention that people love the coffee,” says a local Dunkin’ Donuts worker. 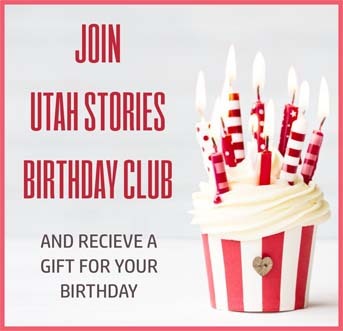 “We originally looked into opening a Dunkin’ Donuts franchise, but the company didn’t want to come to Utah with just one store,” Morrow explains. “They advised us to just open our own store and even offered to have us come to their school.” Banbury Cross has been featured in a number of magazines and TV shows and cited as one of the top five places to visit in Salt Lake City by Cooking Channel Chef Kelsey Nixon.